So, it looks like micro aerial company Aereo has hit the buffers. 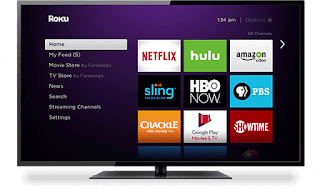 A US Supreme Court ruling found that their business model of leasing out micro TV aerials and then streaming the resultant channels over the internet was illegal. (I have personally wondered why users didn't just buy their own aerials and plug them into their TV sets to get a totally free signal, but I suppose that isn't an option on the 3rd floor of an apartment at 32nd and 3rd in NYC). What this shows is how incredibly difficult it is to disrupt the television value chain with anything new. A handful of companies have done so: most notably Netflix and Hulu, but Hulu did it from within the industry and Netflix had to build a whole infrastructure from scratch to do so. And for every success story there are a thousand failures. Attempts such as Seesaw in the UK have been much less successful. Of course YouTube is another venture that succeeded, but only after billions was poured into it. My analysis is that most attempts at disruption focus on the delivery of content to viewers, as in Aereo's case. This is a crowded market which is very expensive to play in (the main cost not being technology, but customer acquisition). If the industry is to be disrupted it needs to come from much further up the food chain. And it needs to offer added value to the strong incumbent player, from sports federations to studios. How will this disruption work ? Well, imagine creating new, more efficient marketplaces for content and increasing the overall yield from programme rights.